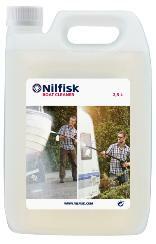 Boat Cleaner is a water-based cleaning agent for cleaning boats and caravans. Boat Cleaner is a very efficient detergent to remove dirt. Packaging may be recycled in accordance with local regulations. Readily biodegradable surfactants in accordance with EU legislation. Store in frost-free place.